Have a Happy Hemi Halloween!!!!! 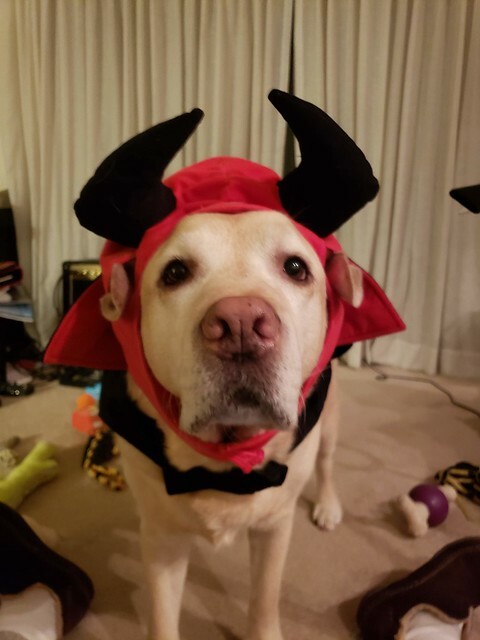 Devil Dog!!! 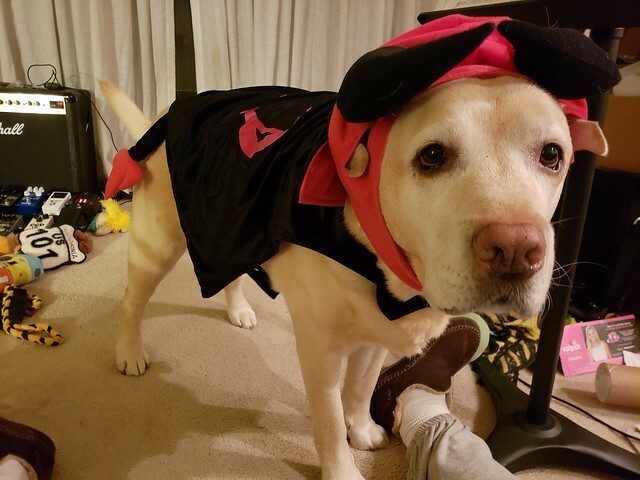 Thread: Have a Happy Hemi Halloween!!!!! 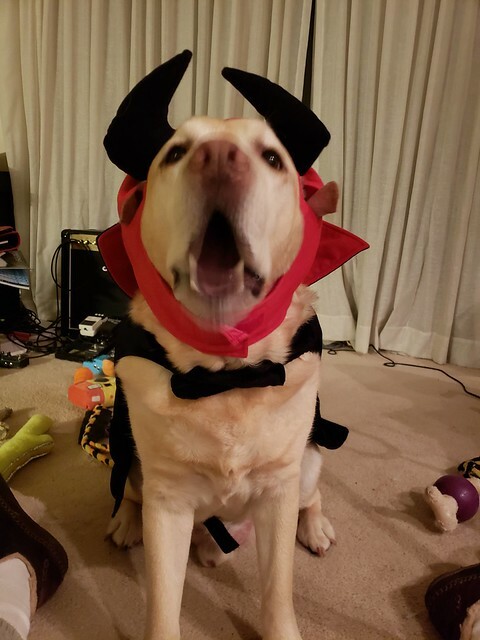 Devil Dog!!! Ok So how about I trade some smooches for some treats? Profile view of his cape. 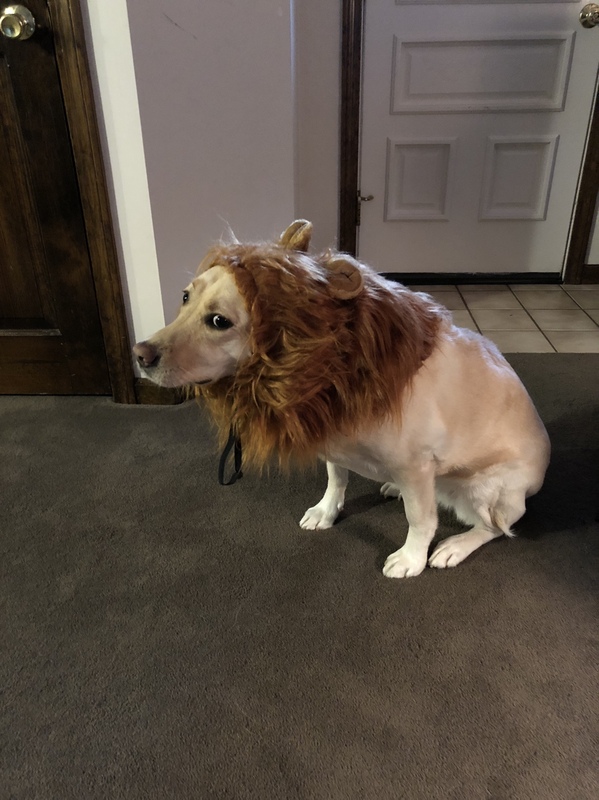 Hemi's costume was made for him from a lady at Dog Scout camp. I was telling her how hard it is to find them in his size. She made one for him. Hemi and I did a weekend trip to Dog Scout Camp for Barktoberfest. 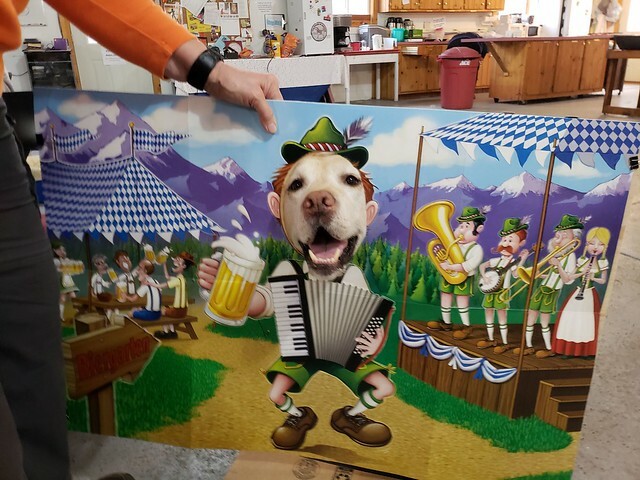 Basically we had an October Fest themed weekend for dogs at camp. There were no badges, this was just a weekend of fun and games. Every hour was a different game. Hemi did great we were team captain for a tic tac toe game too. We won them all. Basically ever see those tick tac toe games where you throw bean bags and triangles flip over to mark either an X or an O. Well this is what we did but dogs would carry the bean bags over and drop them on the board. Hemi was great at putting his head exactly where I wanted it and then I tell him to drop it and he dropped it perfectly. There were awesome cardboard cutouts where you can put your head through and get photo taken. Hemi took full advantage of this. He is quite the ham. He looks perfectly devilish in the first photo, but more like an angel with horns in the others. Hemi, you are just TOOOOOO cute!! Last edited by JackK; 10-31-2018 at 05:44 PM. Hemi needs his own Adventures with Hemi children’s book series! You just gotta love Hemi! Great costume...and it fits him perfectly! I love the devil costume but Hemi as the beer drinking accordion player is a great pic. Thanks for making my day, Hemi! Heni, you devil you. Looks like camp was a great success and lots of fun.